Today is my second Fast Diet (5:2 Diet) ‘Fast Day’ and, just as with my first Fast Day, I planned this one meticulously. By ensuring my meals were purchased, measured and cooked prior to the day it meant there’d be no indecision or any reason to visit the shops where temptation is blatantly displayed! I have no willpower. 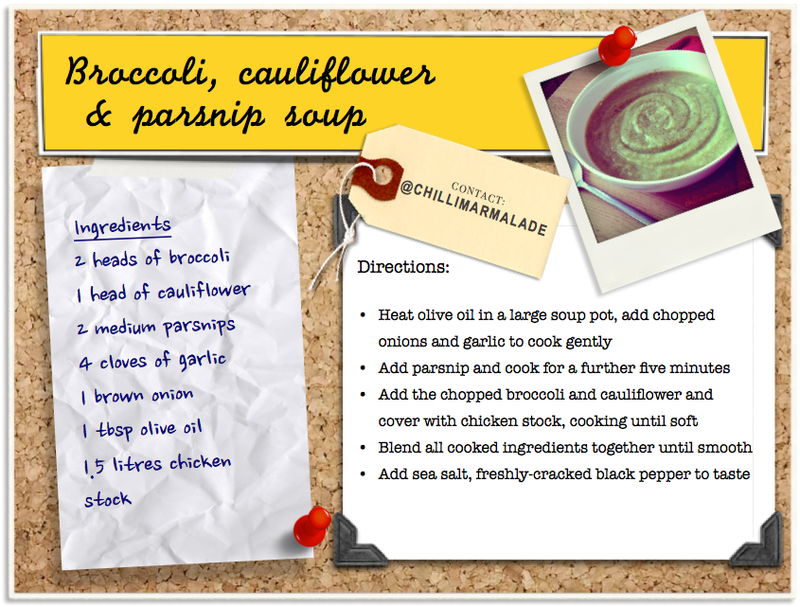 Again, as with my Shirataki noodle stir-fry from Day 1, by keeping this soup recipe simple you can control the calories. It’s as easy as cooking down all the vegetables, adding chicken stock (I used a Knorr chicken stock pot) and seasoning, and then blending until smooth! This easy Fast Diet recipe was so quick and easy to cook, very cheap (I worked out the cost to be around £1 per serve, and this recipe makes 4 serves), and really satisfying. You could easily ‘beef-up’ this soup for non-dieters by adding some crispy fried bacon and a swirl of double cream when serving for a little added luxury. Tags: 5:2 diet, 5:2 meal, 5:2 recipe, broccoli, cauliflower, comfort food, cooking, diet, Fast Diet, Fast Diet recipe, food, low-calorie, parsnip, recipe, recipes, soup, soup recipe, vegetarian. Bookmark the permalink. I think this not only look fabulous, with the swirl and all….it sounds so good! Thanks! I’ve just polished off a bowl, and I must say, I’d probably eat this on a non-diet day too! I like both broccoli and cauliflower and this is great idea for diet food. So how many bowls did you have in a day? 2? Looks great! I don’t even know what a parsnip is, but I’ll look it up and find out where I can get them so I can make this!